Don’t you love Teresa’s “can do” attitude?! Now you can wear your inspiration! Everyone in my family are HUGE fans of MudLove! 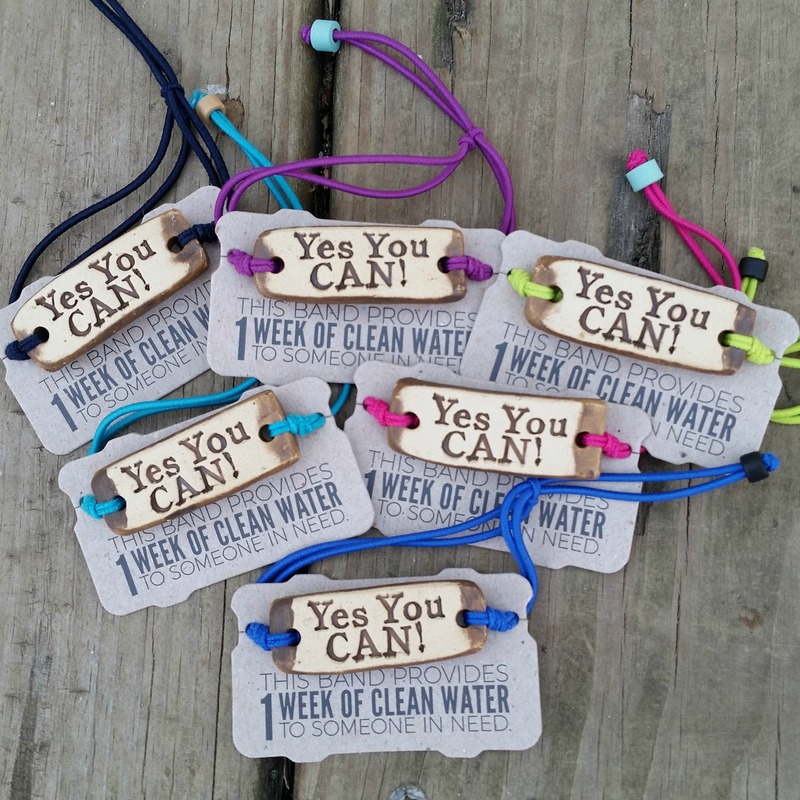 They give 20% of their profits to help maintain wells for clean drinking water in the Central African Republic. They started in a garage behind a barber shop in Winona Lake, Indiana. That’s where I had my first Yes You CAN! bands made. 🙂 They now have a shop in nearby Warsaw, Indiana and last I knew had over 40 employees. It’s been fun to watch them grow! I had envisioned someday having more bands so that others could wear their inspiration, too–and my dream has come true! I am donating a portion of my profits from these bands to Not For Sale, an organization that helps victims of human trafficking. So while you are wearing your inspirational band, you can know that you are helping to make others’ lives better all around the world–together Yes WE Can! Thank you for investing in yourself and in others with your purchase!